Due to our proficiency of this field, we are engaged in presenting Plotter Cartridges. Color: Pink, Blue, Yellow, Black, Etc. We are leading HP Plotter supplier in India. We offer Plotter Cartridges at best price. Printech Solutions India Pvt. Ltd.
We are amongst the most reputed names in the industry, offering Plotter Printer Cartridges. 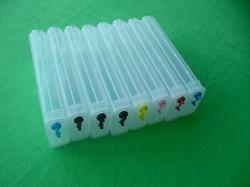 We are a top-notch organization, engaged in providing Plotter Ink Cartridges. We are a top notch supplier of Plotter Ink Cartridges. Banking on our enriched industry experience, we are able to supply Plotter Printer Cartridges. 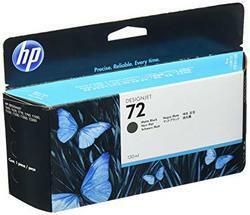 In order to meet excellent quality standards, we are supplying Plotter Ink Cartridges. We are engaged in offering Plotter Cartridges. Our reputed entity is engaged in supplying Plotter Ink Cartridges.